We're excited to host a webinar with some of the foremost experts on storytelling in the world of startups. Join us to learn how stories play a critical role in building a brand and what your startup can do to craft a great story. How do you know when a story is working? Do entrepreneurs need to have different stories for different audiences? What sort of stories should an entrepreneur use when speaking with customers? With investors? Does storytelling play a role in the day-to-day operation of a startup? How can founders use stories to communicate with their team members? What are some tips for sharing more intricate and highly technical solutions with lay people? How should entrepreneurs share their stories digitally? Why Storytelling Matters in Healthcare, Greylock's Storytelling for Startups, Product Hunt's Approach to Storytelling. Digitas Health is part of the largest healthcare communications network in the world and is designed to connect today’s healthcare brands with 21st century healthcare consumers and professionals. Creatively-driven, media savvy, and technology-fueled, Digitas Health is the leading digital-at-the-core brand agency for the new era of healthcare marketing. Schwartz helps brands make more confident healthcare decisions through understanding real and lived experiences of customers. Follow Richard on Twitter and read his writing here. Russ is the co-founder of SeatGeek and helps with BD, recruiting, and marketing. Russell oversees business development partnerships with major media properties like Yahoo! Sports and the Wall Street Journal. In addition, he oversees innovative PR and SEO campaigns and has a strong understanding of how early-stage companies can get traction. Russell co-founded SeatGeek with Jack Groetzinger in September 2009. SeatGeek is the largest ticket search engine and help hundreds of thousands of users each month find the best sports and concert tickets on the Internet. Prior to SeatGeek, Russell co-founded Scribnia.com, a company that allowed users to rate and review bloggers and authors. Scribnia used these ratings with complex algorithms to suggest authors to users. Scribnia was acquired in 2009 and has since been rebranded as BlogDash. Russ is a Dartmouth College graduate with a B.A. in History. Jenn Maer serves as creative director at Omada Health, which has raised over $75 million from VCs like Founder Collective and Andreesen Horowitz and aims to help employers and health plans tackle chronic disease. In her role, Maer oversees a team of talented storytellers, including graphic, web, video, and motion designers. Before joining Omada Health, Maer served as a design director at Ideo. 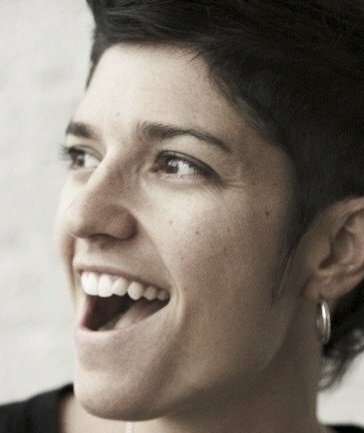 In her role at Ideo, Maer offered brand strategy, storytelling, and creative leadership to a diverse group of IDEO clients, including Marriott, Mattel, ConAgra, and The National Campaign to Prevent Teen and Unplanned Pregnancy. She has worked on projects that have grabbed the attention of the Spark Awards, ISDA IDEA awards, and Core 77 Design Awards. Find her on Twitter and read some of the stories she is using to shape the Omada Health brand here. Hillary Rea is an award-winning storyteller living in Philadelphia. She is the host of the shows Tell Me A Story and Fibber. Hillary is a Moth StorySlam winner and has performed with the How I Learned Series, Story Collider, The Soundtrack Series, Real Characters, Speakeasy DC and more. Hillary is a 2016 Independence Foundation Fellow in the Arts and was a 2011 Artist-in-Residence for Elsewhere Artist Collaborative in Greensboro, NC. In 2013, Hillary assistant directed 1812 Productions’ It’s My Party: The Women and Comedy Project, an interdisciplinary storytelling and theater piece. Since 2013, Hillary has been running monthly storytelling classes and corporate workshops through Tell Me A Story. Past clients include The Pennsylvania Conference for Women, Hungry Education, Pennsylvania Council on the Arts, The Pennsylvania Innocence Project, TicketLeap, and The Stockton Rush Bartol Foundation. Follow Hillary on Twitter and check out Tell Me A Story's blog here. Please register here for the webinar.